Don’t confuse an estate sale with a bunch of old junk left over after someone has passed away. Sure, sometimes that is true. But in today’s “less-is-more” lifestyle, many people are choosing to downsize their possessions to make room for more of what life has to offer in the way of other experiences. If you’re curious about running your own estate sale, I gathered these tips for you from Penny Hoarder to make it a successful one. Do you see any items that could be sellable if you just put a few minutes into shining them up, repairing, etc.? Look for items that you could profit from with minor improvements. For broken or unrepairable items, donate or discard now to avoid having to deal with the item later. Using your list you created in Step 1 above, now it is time to do some research to determine the fair market value of each item. Look up similar items online, in catalogs or even consult with an antique dealer if you need to. Estate sale shoppers are looking for bargains so if you are deciding between two price options, it may make the most sense to mark it at the lower price. Mark the price clearly on every item. If you find you have several similar items you would like to price the same, consider setting up a separate table for those items with a sign that indicates all items on that table for a designated amount. Penny Hoarder suggests this large list of pricing resources if you’re having trouble pricing an item. Your goal should be to have buyers easily look through each room without bumping into anyone or anything. Don’t clutter up tables with too many items and try to keep items spread out in a way that ensures easy traffic flow. You can put giant “not for sale” signs on items you want to keep, but you’ll likely still get asked if it is for sale. The best way to keep those items safe is to put them in a room that is off-limits to buyers. It will avoid confusion and frustration. You’ll also need help at the cashier’s table, carrying items, loading cars, etc. The more, the merrier. Offer up dinner and drinks on you after the event to make sure you get the help you need on the big day. 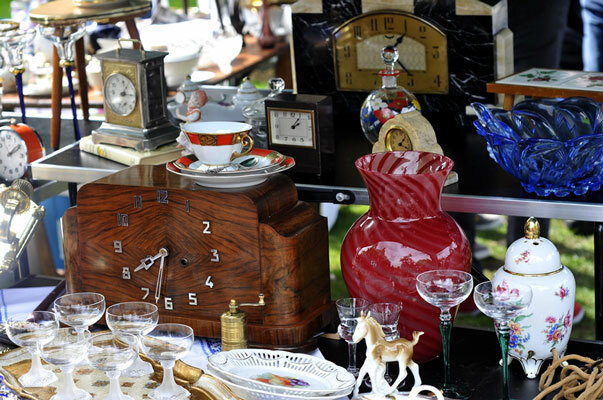 Make arrangements in advance to have any items you don’t sell picked up by a local charity after the sale. Be sure to get a receipt from them for your tax-deductible donations. What are your plans after your big sale? Looking to travel more? Moving soon? If a mortgage, refinance or a reverse mortgage is part of the next steps in your journey, I’d love to talk with you more. Please call me at 602-791-0249 or send me an email at michael.thomas@vipmtginc.com anytime.